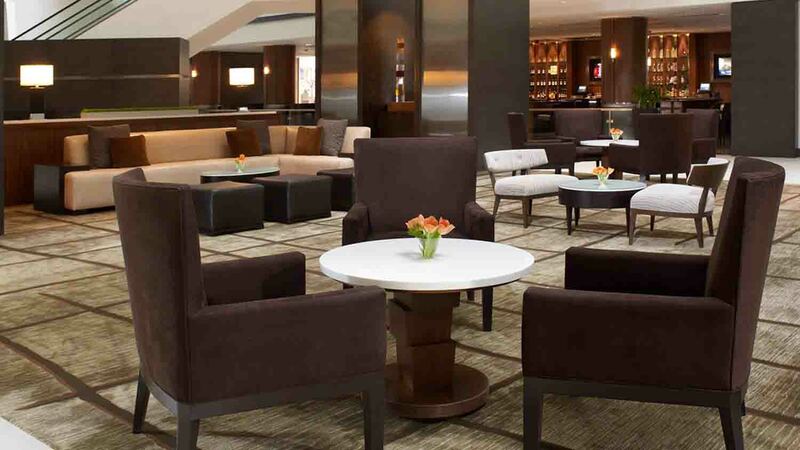 Find the level of service you've come to expect from Hyatt at our downtown Indianapolis hotel. 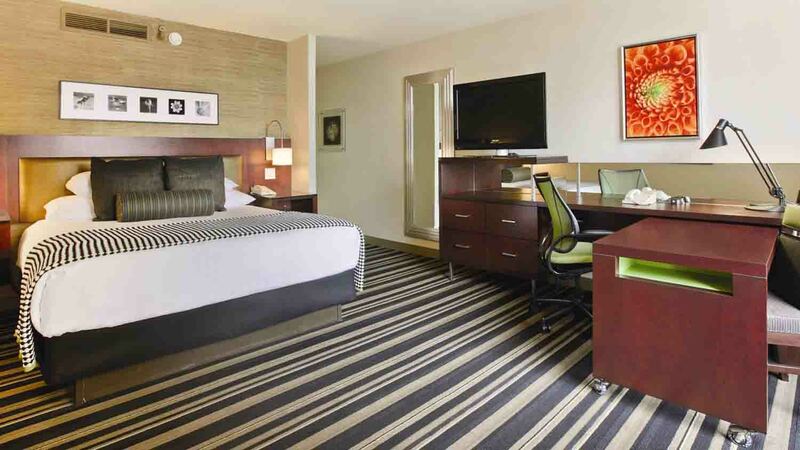 Modern amenities blend effortlessly with classic design elements creating a stylish downtown Indianapolis hotel offering all the advantages of a prime central location. 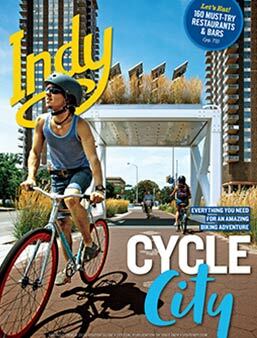 Attend events at Indiana Convention Center or Lucas Oil Stadium without having to step outside via our climate-controlled skywalk. 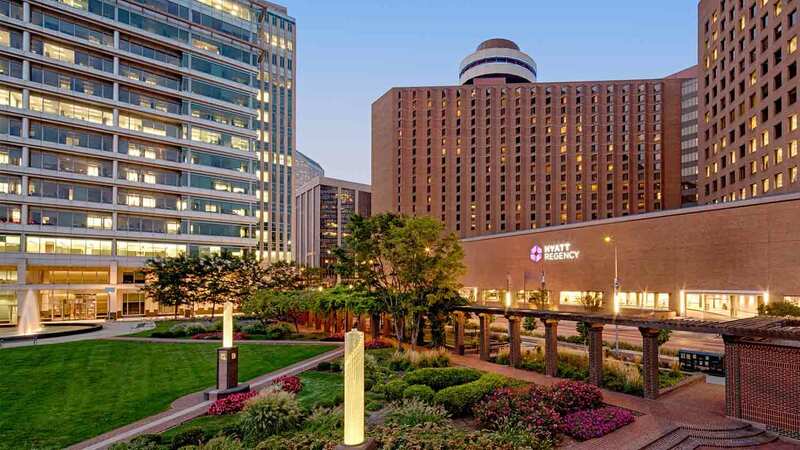 Enjoy our convenient location, walking distance from Victory Field or Bankers Life Fieldhouse, or explore the many shopping, arts and entertainment options located steps from our front door. Whether you’re craving an Italian meal, a great cocktail at a trendy bar, or a decadent dinner high atop the city, our hotel has several restaurants perfect for you. 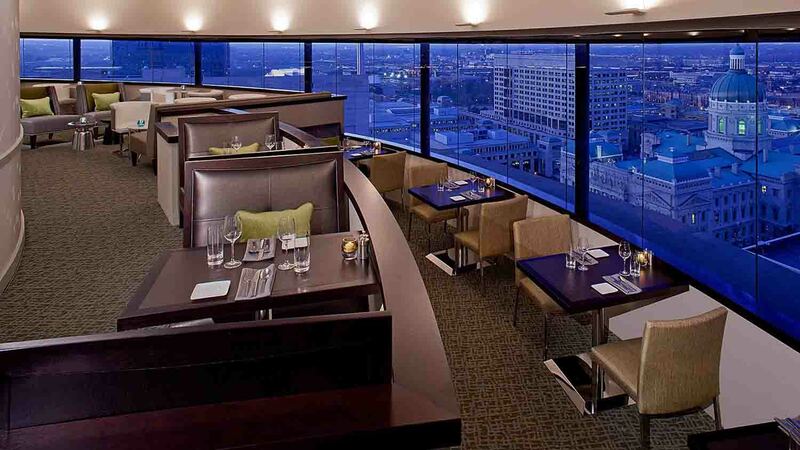 Voted Top 100 Most Romantic Restaurants in America by Opentable several years in a row,The Eagle’s Nest is the perfect location for a special meal paired with a skyline view. One South offers fresh ingredients from breakfast to dinner plus a unique new Pasta Bar open during lunch hours. 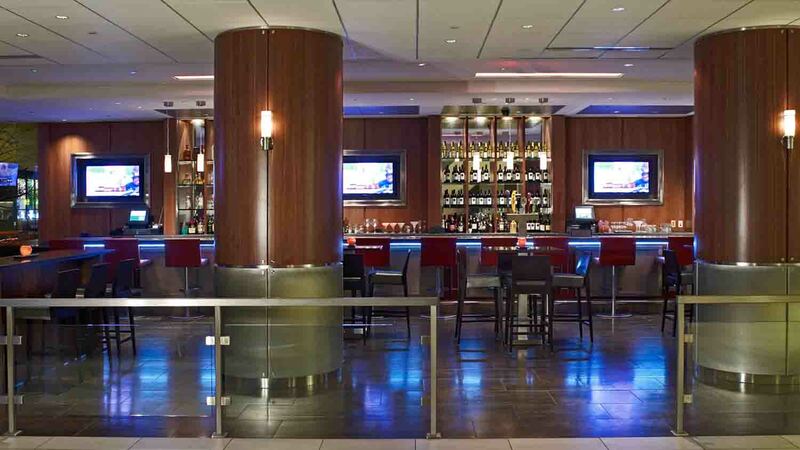 Kick back and relax at Level One, the hotel’s upscale bar featuring martinis, appetizers and an engaging nightlife. Amenities found in our guest rooms include a refrigerator, computer data port, iHome iPod clock radio, full bath amenities, video checkout, 37" plasma TVs, two phones, video on demand, ironing board, hair dryer, single cup coffeemaker, robes as well as microwaves by request. 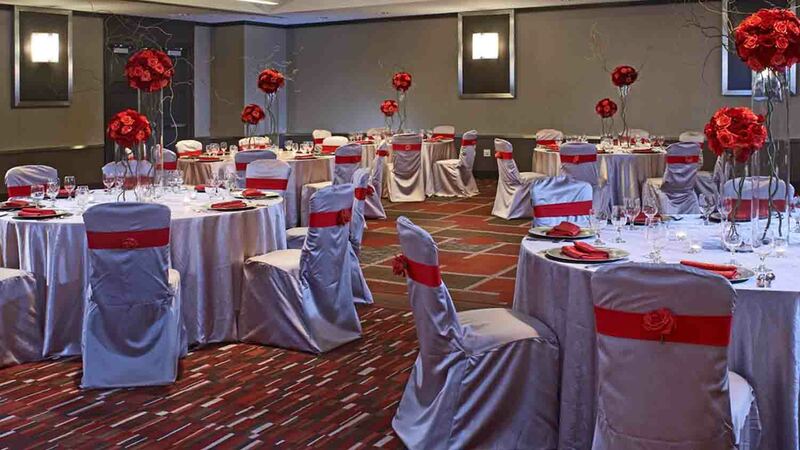 Our recently renovated hotel offers several incredible restaurants, distinctive function spaces, and beautifully appointed guestrooms in a 100% non smoking environment. 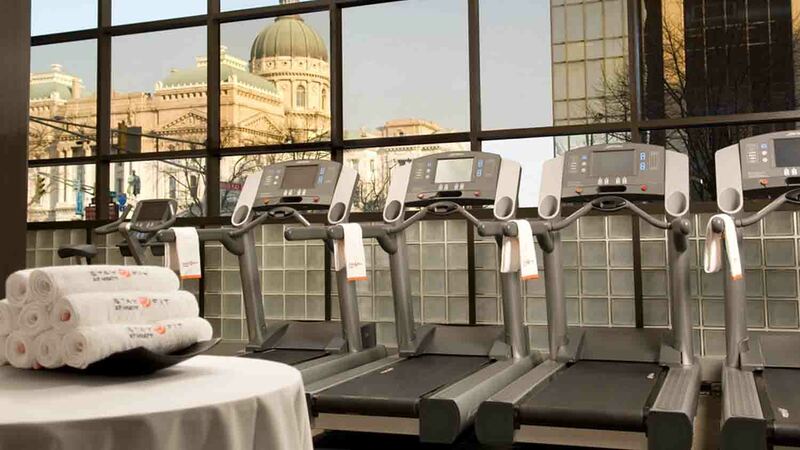 Whether you're visiting for business or leisure, we invite you to discover the ideal choice among downtown Indianapolis hotels.